From the elegant, lithe, and yes, friendly cheetah to the diminutive and faithful sea horse, and from the giant and surprisingly warlike hippopotamus to the majestic gorilla, animals have long fascinated humans. 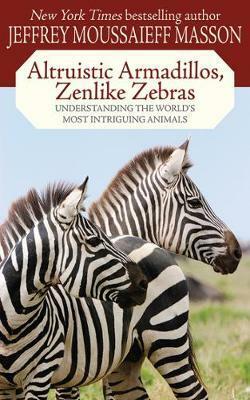 In this appealing book, Jeffrey Moussaieff Masson draws from his wealth of knowledge and a lifetime of fascination with the animal kingdom to present little-known facts and thorough explanations for behaviors of animals both familiar and lesser-known. Presented from A to Z, each entry is accompanied by a beautiful, full-color photograph. Readers will learn from someone who knows these animals and loves them as much as you do.